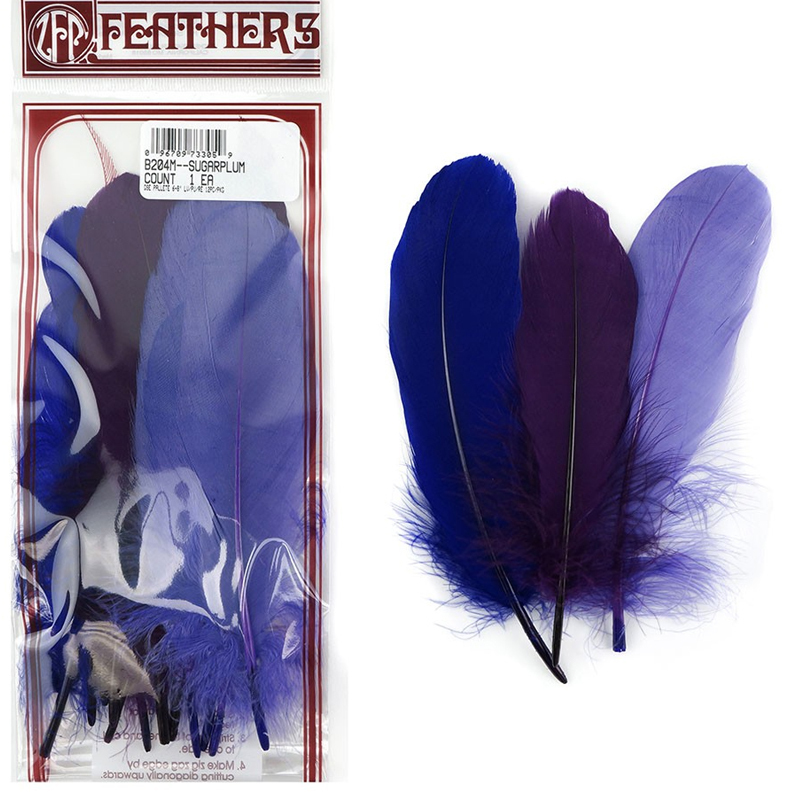 6 Inch to 8 Inch Goose Feathers. 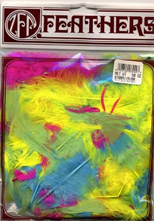 Beautiful vibrant colors to add finesse to your art project. 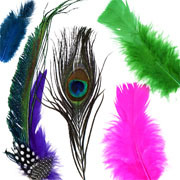 These are also a good idea to assist you in making a personalized one of a kind costume. 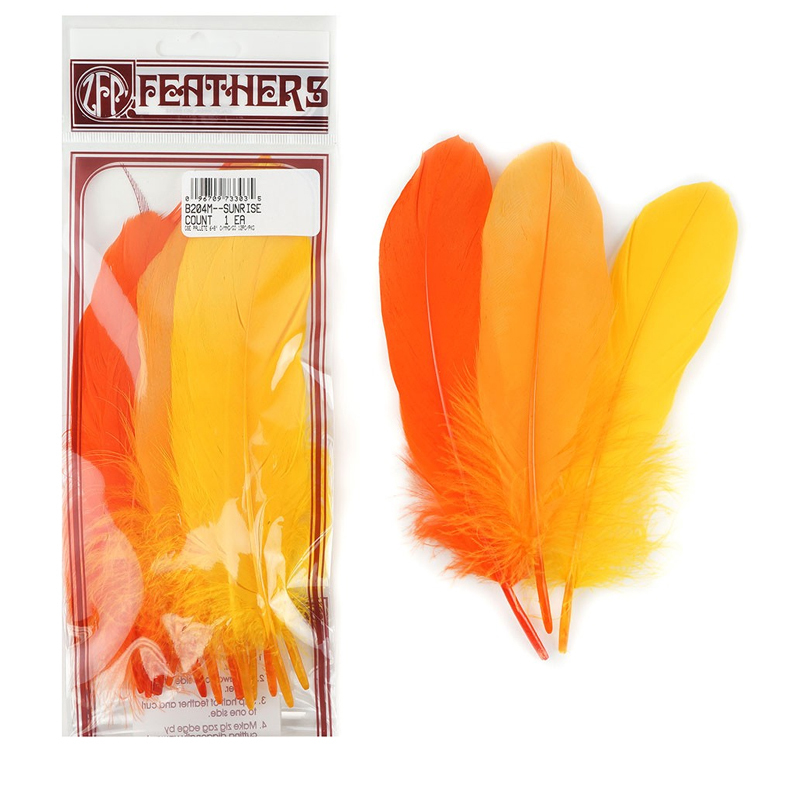 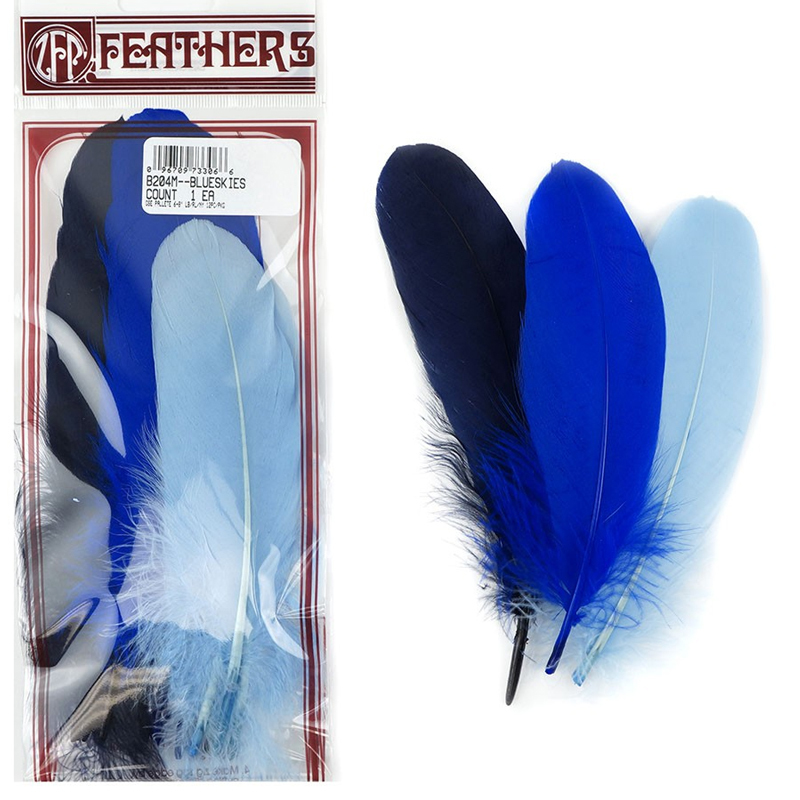 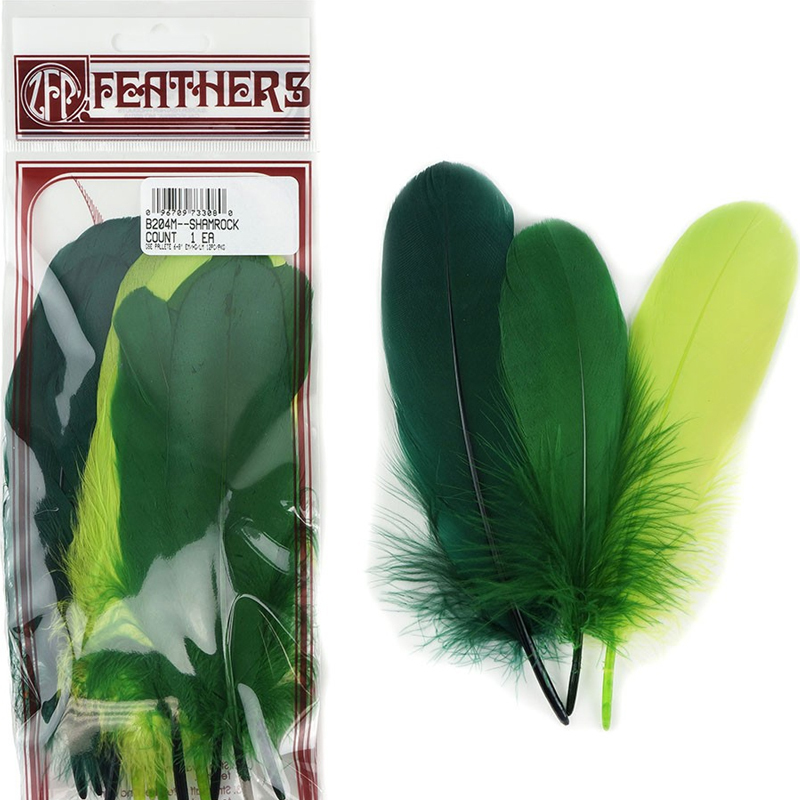 6 Inch to 8 Inch Goose Feathers come 12 to a package. 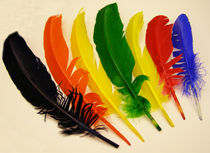 These come in assorted colors. 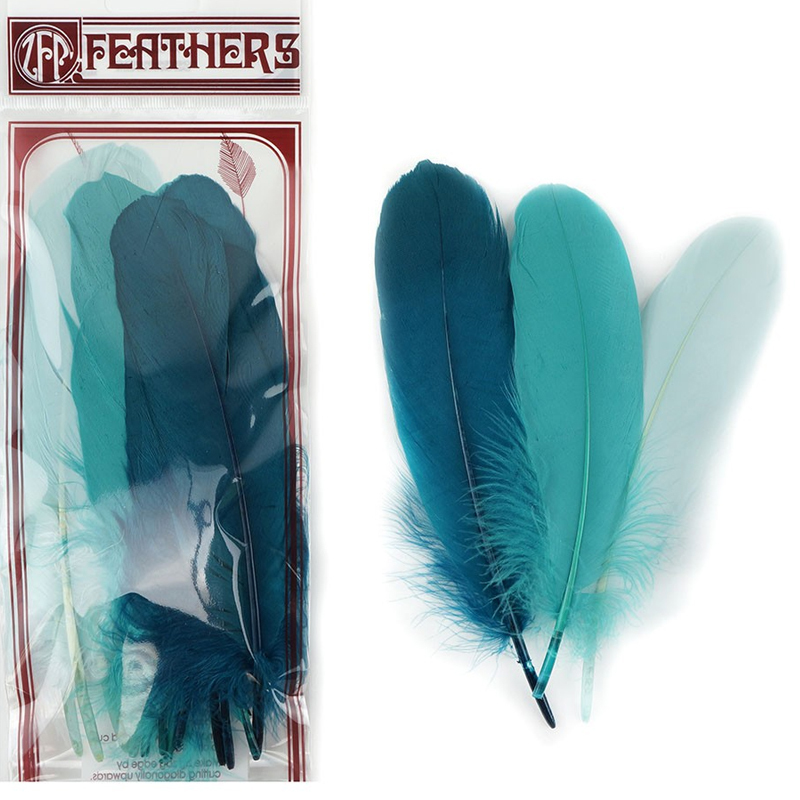 Each package has a color scheme. 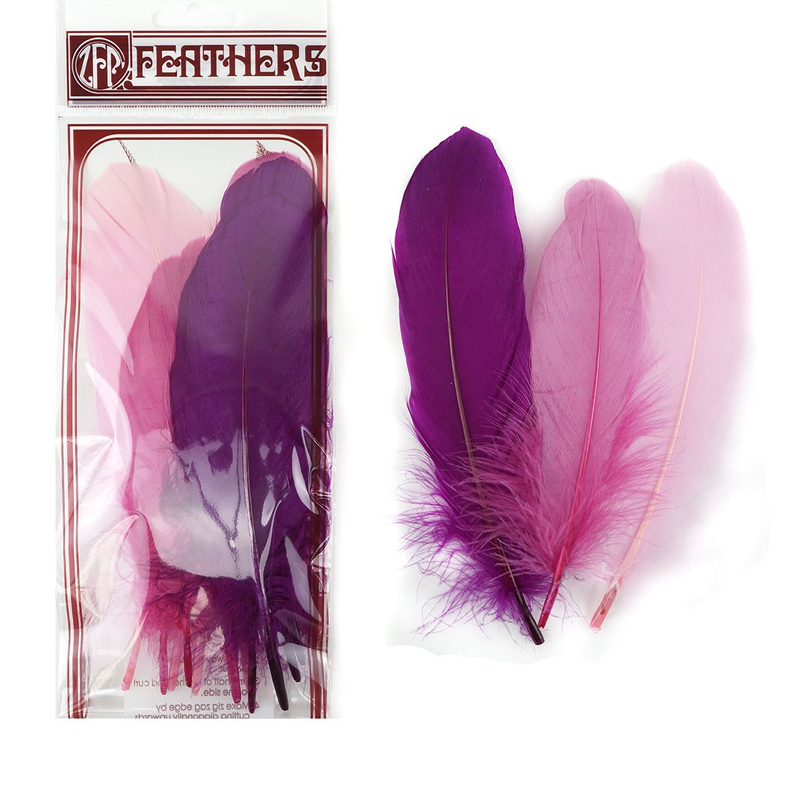 For instance, you have pink feathers, dark pink feathers and then purple.